I'm a huge wonderland fan and throw in the harem concept it has my curiosity peaked. OOh nice! I love a good twisted fairy tale kind of book! Will have to keep an eye on this one! Oohh wow this is new to me! 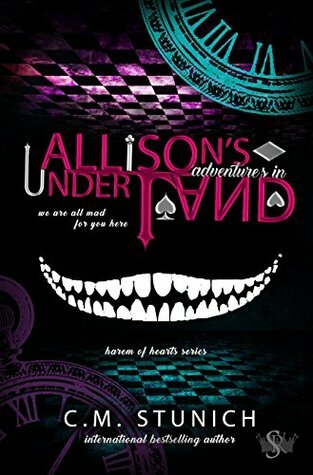 I could see the Alice in Wonderland influence as soon as I saw the cover. 😍 I hope you enjoy this book when you get the chance to read it!